We pick up, store, and deliver your stuff — for less than what Washington, DC self-storage companies charge. You’ve been trying to ignore it, but it’s time to face the facts: you have a storage problem. There are things bursting out of your closet, your bookcase, even your kitchen cabinets. You could a rent a self-storage unit outside of Chinatown, rent a truck, buy packing supplies, pack your stuff, load everything into the truck, drive to the storage unit, unload the truck, and then pack everything inside the storage unit. Or — you could rent nothing, drive nothing, and buy nothing. Because MakeSpace is Chinatown storage that comes to you. Simply schedule a pickup, pack your stuff, and leave the rest to us. We'll pick up your stuff, store it in our secure and temperature-controlled storage facility, and create an online photo catalog of it so you never forget what you have in storage. The best part? When you need something back from storage, you can just click the item's photo and we’ll deliver it to you. Which gives you more free time to do whatever you want, like inhale noodles at China Boy. 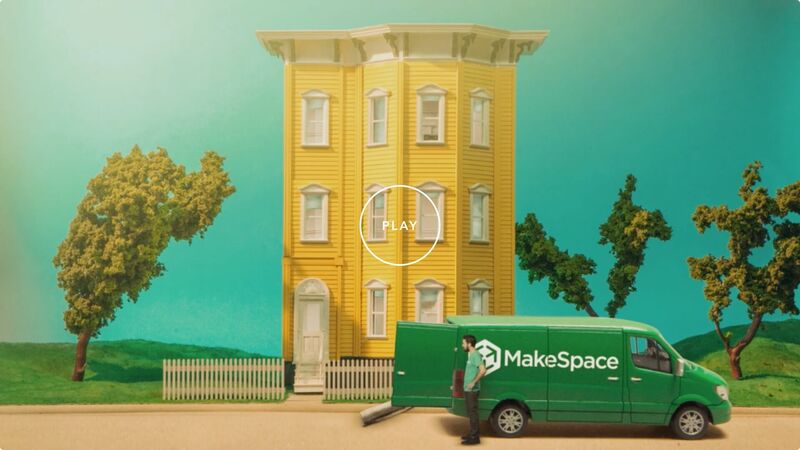 "My experience with MakeSpace was great! They were nice, polite, and patient with me! I rate them with 5 stars evertime im asked! Thanks guys for being professional and affordable!" "What a great company! From the time we received the estimate for our move till the big day came. This company was all about customer service. They truly made moving a great experience. Really, really these are the folks you want taking care of your belongings." "I had never used a storage company prior to MakeSpace, nor will I ever use anyone else — they're just that great. I've found MakeSpace especially helpful the handful of times I've moved in the city. I would much rather send all of my things to MakeSpace and have them redelivered, than deal with renting a car and packing and carrying everything by myself." "This service is fantastic - with short notice, they came to pick up a wide variety of things (think, the queen bed frame that is awkward to store in your basement, to boxes of documents etc. ), arrived on time, were extremely pleasant and to top it all off, managed to fit our stuff into a smaller unit than we reserved to save us money - truly great customer service."